Frontier Pitts is the British manufacturer of Airport Security Gates, Automatic Barriers, Roadblockers, Rising & Static Bollards, Pedestrian Control Gates & Turnstiles, Frontier Pitts are known for installations such as the Taxi Way Gates installed at Heathrow Airport in the 1980’s, and have since been installing perimeter security at Airports Internationally. 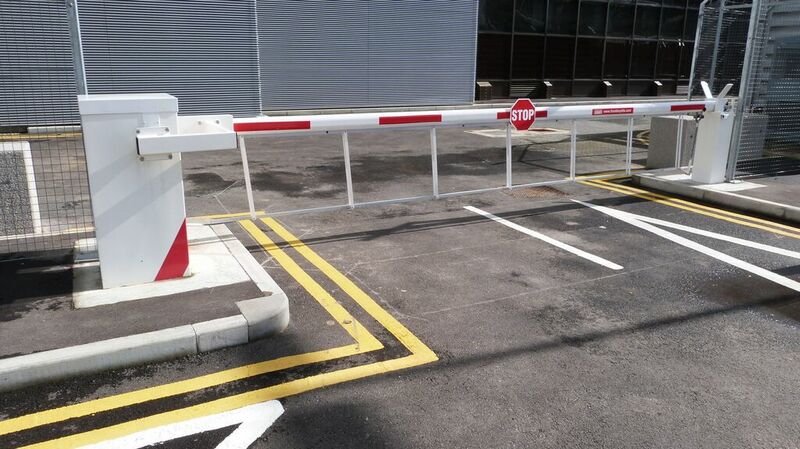 Frontier Pitts Anti Terra Hostile Vehicle Mitigation (HVM) range includes Terra Gates, Terra Barriers, Terra Blockers, and rising and static Terra Bollards, which has all been successfully IWA14 & PAS68 impact tested. Frontier Pitts have installed numerous Terra products at airports where a high level of security is required to mitigate the threat of vehicle borne explosive attacks to critical national infrastructure, protecting key buildings from terrorist threat. Frontier Pitts are the manufacturers of the World First Terra Sliding Gate which was impacted in the fully closed and half open position, and remained fully functional. Frontier Pitts Anti-Intruder, Intruder Resistant Platinum Automatic Security Gate range has been successfully tested to LPS1175 Security Rating 2 & 3. Our Terra Diamond Turnstile has been successfully tested to LPS1175 Security Rating 3 & 4, and is Approved for Government Use, please contact CPNI. Our in-house engineering team have the ability to adapt our standard range of products to offer bespoke solutions to suit specific applications and fixed tender specifications. Our current impact test program enables us to bring new products to the market whilst staying ahead of the competition. For more information, visit our website at www.frontierpitts.com or contact Technical Sales on +44 1293 422800. 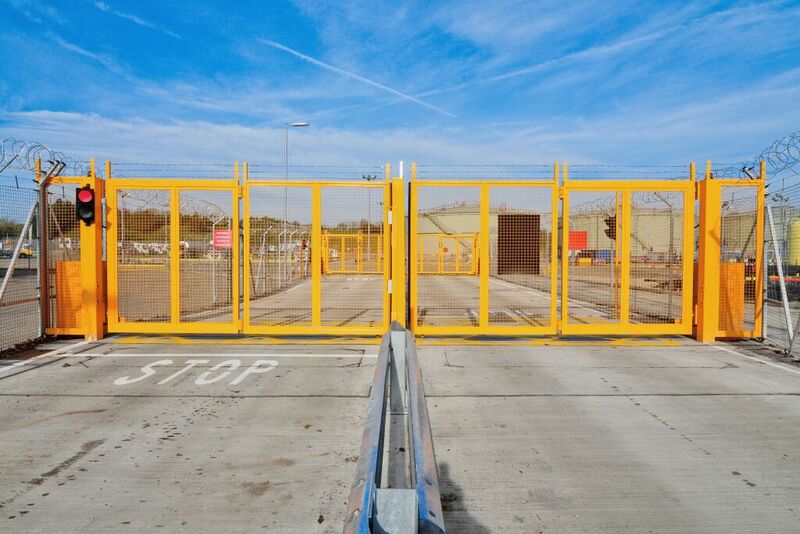 Frontier Pitts manufacture and install a wide range of security gates, including Sliding Cantilevered, Sliding Tracked – also known as Taxi Way Gates – Terra Sliding Cantilevered Gates and Terra Tracked Gates, ideal for both airport perimeter use or airside taxi way gates. Frontier Pitts design, manufacture and install security gates to suit individual site requirements. All gates are finished to the client choice of RAL colour, and have a wide range of access control options. As Safety Assured members of the DHF (Door and Hardware Federation) all our gates meet the stringent British Standards gates safety regulations. Frontier Pitts will design and manufacture a system designed to meet the sites exact needs. Frontier Pitts manufacture and install a wide range of security rising arm/drop arm barriers to secure widths up to 10m. Our automatic barriers can be found at many airports globally, including Gibraltar Airport where Frontier Pitts barriers close the road that runs through the runway to allow planes to take off and land. 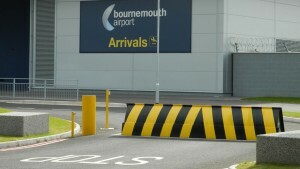 Our PAS 68 impact tested Compact Terra Barriers and Terra Ultimate Barriers are installed in many airports nationally. 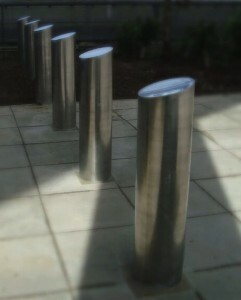 Frontier Pitts manufacture and install a range of anti ram rising and static bollards providing high security perimeter security protection. Our Planet Range of Static Bollards includes a bollard to withstand a range of energies when impacted tested to PAS 68 and IWA 14. Frontier Pitts manufacture and install a range of anti ram road blockers and rising kerbs which provide high security perimeter security protection. Our Anti Terra range includes the new IWA 14 impact tested Terra Shallow Blocker.